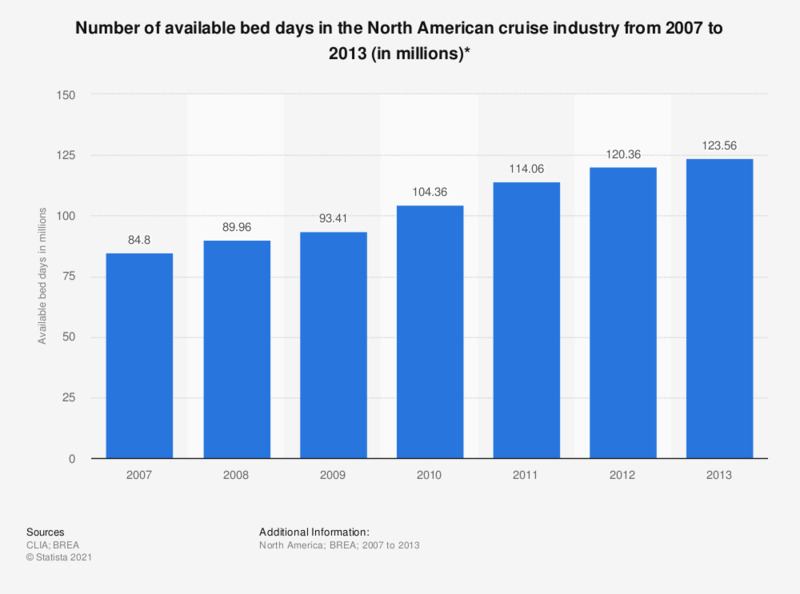 This statistic shows the number of available bed days in the North American cruise industry from 2007 to 2013. In 2013, there were 123.56 million available bed days in the North American cruise industry. * Bed day figures are for CLIA member lines only.